Remington Community Newsletter: Remembering Clifton C. Williams, Sr.
Remembering Clifton C. Williams, Sr.
Clifton C. Williams, Sr., born July 16, 1922, passed away at Union Memorial Hospital on Feb. 19, 2016. Williams was a long-time Remington resident. 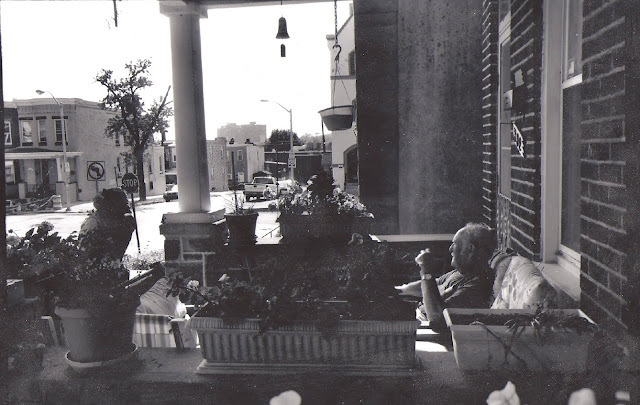 In his late teens, he lived on the 2800 block of Miles Avenue with his mother, Laura Skillman, and later for 65 years in his home on W. 30th Street (shown), which he shared with his wife of 64 years, Shirley, who died in 2006 and grew up on the 2800 block of Huntingdon Ave.
As a young man, Williams worked on a banana boat in the Caribbean before joining the US Coast Guard, where he patrolled the coast off of Narragansett, RI. He then served on a landing craft in the Pacific Theater of World War II. After the war, Williams worked in the Baltimore City Fire Dept. for 33 years, working most of that time as pump operator in Engine Company 21, on Roland Ave. He was an avid golfer and bowler, and enjoyed going to firefighter retiree meetings followed by a few hands of poker as well as sitting on his front porch to chat with those passing by. Williams’s kindness was not just for his fellow humans. He loved and was gentle with animals, such as the birds and squirrels that he fed, and particularly his beloved last two “children,” his dogs, Buffy and Matilda. Neighbors remember always seeing him with a dog in his lap as he drove to the Giant, or walking his dogs around the block and across Beaver Hill. Cliff and Shirley raised their five children on 30th Street: Clifton Jr., Kenneth, Donald, Victoria, as well as Robert, who passed away in 2008.